Totally Awesome 90’s was this year’s Dessert Reception theme. Every year, appellate practitioners and their families travel across the state to join their colleagues at the Annual Florida Bar Convention. They usually attend meetings all day and then patiently wait around for the Appellate Practice Section’s coveted Dessert Reception, which traditionally starts around 9 p.m. and lasts until midnight. The 2017 convention was held at the Boca Raton Resort and Club Hotel in Boca Raton, Florida. 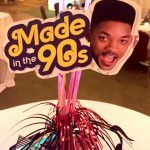 This year’s dessert reception theme was “Totally Awesome 90’s,” and it lived up to its theme. The tables were adorned with our favorite candies from the 90’s—Bubble Tape, Warheads, and Airheads—as well as mini boom boxes and slap bracelets. The bartenders served “Pop Rocks” cocktails, and the desserts consisted of Rice Krispies Treats, neon-swirled brownies, and confetti cupcakes, plus a fondue bar and frozen push pops. The photo booth captured all of the fun that guests were having. DJ Jazzy Jeff spun the records in a neon-printed suit. And for the first time in years, the dance floor was packed. In between Will Smith’s “Gettin’ Jiggy Wit It” and dancing to MC Hammer’s “U Can’t Touch This,” the Section recognized two of its members for their extraordinary accomplishments in the field of appellate practice. 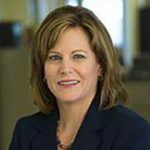 The Section presented the prestigious 2017 James C. Adkins Award to Susan W. Fox, a board certified appellate practitioner and partner at Fox & Loquasto, P.A., in Orlando. Ms. Fox is a charter member of the Section and has served the Section in various leadership capacities over the years. She has made countless contributions to the profession, has mentored many young attorneys, and has an exemplary record of pro bono service to her community. Congratulations, Susan! The Section also presented the 2017 Pro Bono Award to Pamela R. Masters,—a partner at Cobb Cole in Daytona Beach and former Clerk of the Fifth District Court of Appeal. As Clerk, Ms. Masters coordinated and fostered pro bono service by appellate practitioners and mediators throughout her district. After leaving the Clerk’s Office, Ms. Masters continued to advocate for pro bono clients in private practice and volunteered weekly in various legal services organizations. Congratulations, Pamela! The Section would like to thank its sponsors for making this reception possible and Programs Chair, Kimberly Kanoff Berman, and Section Administrator, JoAnn Shearer, for organizing the “Totally Awesome 90’s” reception. Law Office of Kreusler-Walsh, Compiani & Vargas, P.A.